Imagine Buying 4,200 Tickets For The Same Money You're Paying For 14 Tickets Now! Would you be interested? Thousands of our winners were! The Winner's Circle is our lotto syndicate (pool of players) which uses my successful Silver Lotto System. And it offers an unbelievable increase in the number of lotto tickets you share. The Winner's Circle is easy to join no matter where you live in the world. You don't need to do anything else once you join... everything is done for you. I choose the Lotto games and numbers--and you share in my win successes. Let me ask you this... do you want to win lotto? But you don't have the money to buy the hundreds or thousands of extra tickets needed to improve your win chances? ... By Jumping In A Pool! When you join a pooling system like my Winner's Circle, your winning chances increase tremendously. That's because your pool can afford to play hundreds or thousands of lines more in each game at a fraction of the cost - giving you a bigger bite of the prize cake. It's proven that the more lines you play, the higher your win odds become, and the greater chance of a winning success. That's why lottery organizations report that many major wins are made by pools and syndicates. PROOF - A group of 13 Missouri state employees claimed the $224.2 million Powerball jackpot from the April 12 drawing. PROOF - 8 Nebraska meatworkers won the largest payout in history when they won $365 million in a February Powerball. PROOF - The group of 100 lucky winners of an August 5 $208.6 million Powerball jackpot. And there are hundreds more examples. So it makes sense to get the largest number of lines as possible - and a pooled community is the cheapest way to do it. But to buy such a large number of lines and tickets by yourself is prohibitively expensive... thousands of dollars a week. That's the reason I started the Winner's Circle. Let's say you're spending $29.95 a month in your hometown lotto game at the moment. At $2 a ticket, you're getting around 14 tickets a month...that's only 3 tickets to play each week. As a Winner's Circle member, for the same $29.95, you get the equivalent of 4,200 tickets. That translates to a huge increase in your winning opportunities. By yourself only: 14 tickets a month. With Winner's Circle: 4,200 tickets equivalent. I'll explain how in a moment. But you must agree the Winner's Circle is a phenomenal way to increase your playing and winning power. Imagine trying to buy 4,200 tickets. That might cost you up to $8,400.00 a month and more. Plus a lot of waiting-in-line time. The hugely better Winner's Circle means you are paying just $29.95 instead of $8,400. Here's how it works for you - and it's very simple. The Winner's Circle is divided into Groups with a limit of 50 Members each. Each Group is separate and has a different set of playing numbers allocated to it. As a Member, your chance of your Group winning through this bulk buying is massive for the price, as you've already seen demonstrated. Sit Back - You Do Nothing! When you join your Winner's Circle Group, I play your numbers for you each week. It's the same as any office syndication or professional pool, but with the proven advantage my Silver Lotto System gives. You do no selecting numbers or working figures out - it's all in my expert hands. (Yes, the same hands that gets an average 98% win success. I hope it will be the same for you here - but there's no guarantee of that of course). You don't have to go down to the lotto shop each week in the snow or rain, or fill out any tickets in a queue, or hover over the machine while it beeps and tells you that you haven't won. In fact, all you do is click on a link at the bottom of this page to join and it's all done for you. As a Winner's Circle member, you get around 4,200 equivalent chances to win a lotto game, instead of just 14 chances at the same price. How do I get you this huge number of equivalent lines for so little money? #1. First, the Winner's Circle plays the New Zealand Lotto, which sells 1 ticket for just 70 cents, with prizes of up to $1 million dollars twice a week. Games in other countries can cost up to $2-$3 for the same line, so a 70 cent ticket is a huge saving... less than a quarter of the cost. That means you get to play the equivalent of more than four times more lines for the same money in your country - which means massively more win opportunities. #2.Secondly, while you are paying in US dollars, New Zealand Lotto games are played in New Zealand dollars. Since US currency is sometimes up to 35% more than ours, depending on fluctuations, you are getting more lines for your investment. When you combine all these savings together with sharing with 49 other people, you can see how you get a huge number of tickets for very little cost. Participation in selected Wednesday or Saturday night Lotto games each month according to my LottoPredict results. This is New Zealand Lotto only, not Powerball. A 50th share in every prize. Games are played by the Winner's Circle organization--you do nothing more than be an actively paid-up Member. The New Zealand Lotto game is played using my Silver Lotto System. We go down to the lotto shops and stand there patiently until every last ticket is spat out of the machine. Hours of waiting you don't have to do. Costs you just US$29.95 per month Membership. Join once and continue to be automatically billed every month, or 3, 6 or 12 months so you don't miss out by forgetting to renew. Remember, the first aim of any successful pool system is to win. The best way to get a winning ticket is to play as many lines as the pool can afford. I've found over years of selling my Silver Lotto System that most people can't afford more than a few lines when they play by themselves. Even with the big boost my Silver Lotto System gives, playing only a few lines or tickets a month is not enough to get regular wins. That's the beauty of the Winner's Circle and its huge low-cost numbers - you can become a big player with very little money. You can afford to get back in the game in a big way. Of course, once you share my win as a Winner's Circle Member, you share your prize with others - but that's what a pool is. Would you rather have a smaller percentage of something - than all of nothing? Sharing the prize is a very small price to pay to be able to dramatically reduce your odds and increase your wins. The New Zealand Lotto game is a 6/40... that's 6 balls with 40 numbers. It's one of the best odds game around the world. Before you do, read the following Frequently Asked Questions (FAQ), because they will tell you all you want to know about the Winner's Circle. Then go to the order link at the bottom of the FAQ to join. Is my membership automatic? Or do I have to make a payment application again each time? If you choose any payment option, your membership payment is automatically a recurring, ongoing payment. This means you never have to worry about signing up again. And it means also that if your membership had a win, you wouldn't have to worry about whether you missed out - you're always a member until you cancel. Am I paying for, and do I get Lotto tickets when I join? No, you are paying for a monthly membership to my Winner's Circle. Your main advantage is being able to take part in my personal lotto investments. You are not personally playing a lotto game, and do not receive tickets. Can I see the numbers you played for my Group? All numbers are confidential since they are part of the professional version of the Silver Lotto System, and incorporate ongoing testing and play variations. How will I know whether my Group has won? I send you a personal email with the summary of the month's winnings whenever there is a win above $100. To save email overload, you will only hear from me when there is a win. Why can't I see my win results online? The Winner's Circle is complex to administer. As membership changes, the numbers change in each Group which means that their positions are constantly changing too. There is no program that can solve that yet. What if my win is a small one - just a few dollars? All wins under NZ$100 are retained by the Winner's Circle for those winners. When any current member gets over $100 accumulated, payment is sent to them at the end of the month. If a member is not current (if they decide not to continue their monthly payments), then that money is put back into future games for the benefit of current members. What if there are no wins? Lotto is a game of chance, so you need to take the chance that at times even a large number of lines will fail to generate a payout. There's always the next game! What if my win share is less than NZ$100 for a longer period while I'm still a member? That money is still held in the Winner's Circle for you as long as you're a current member. You'll get the payout when your accumulated winnings go over $100 and you are still a member. Ken, how do you personally profit from the Winner's Circle? I take a share like everyone else. In fact, I'm often the 50th person in every Group, and when the Group membership is low I take the balance. My aim is to get wins for my members and share in every win. Your membership payments contribute towards my own investment in each game. Can you explain the $100 win payout in more detail? Let's say you get a $60 win while you have been a Member for 2 months. But then you decide to stop your membership. That means you cannot claim the $60 and it goes into the consolidated fund to be used in future games. What countries can I join from? Can I just join for 1 month to try it out? Sorry, you can't stop and start again. That's because the system is complex to administer and I have to limit the number of Members playing. So once you sign up, you have to continue. When you stop, you need to make room for someone else who really wants a win. You will have to declare taxes if the country you are playing from requires them. It's up to you to comply - the Winner's Circle simply sends your win funds to you. Are there part-payouts on big wins? There are no part payments with the New Zealand Lotto - the organisation gives the full amount of your Group share. Some games in other countries pay out the prizes by installment over 20-30 years. This makes the actual annual win quite small. 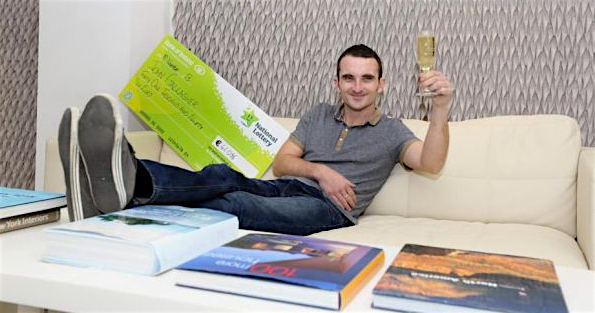 But the New Zealand Lottery Commission pays the full amount to the winners, tax-free. This is part of the dividend which is passed on untouched to Winner's Circle members. Why are there 50 in a Group? Wouldn't just 5 give me a larger share of the prizes? Yes, but it wouldn't give you the advantage of many numbers - because you need a large number of lines in order to win at lotto. That's the principle of my Silver Lotto System too. A large membership is necessary to get maximum lines at lowest line cost. I've found that 50 is the best number for this need. Does the Winner's Circle play every New Zealand game? No, I am using a special LottoPredict subscription variant to play, and some weeks may not be suitable for investment. Sorry, we no longer accept money by paper, we're all digital and accept only credit cards. How do I get paid my winning share? You will receive a check posted within 10 days after the end of the month. Your share balance will return to zero, and you can look forward to more wins. The price is just US$29.95 per month, made in monthly, 3-monthly, 6 monthly or 12 monthly recurring payments. You know the incredible chances the Winner's Circle gives you to magnify your win opportunities each game... gaining you from 14 to 4,200 equivalent tickets. You've read the FAQ and you have no more questions. 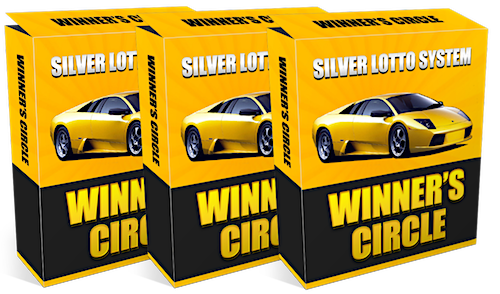 PS.My Silver Lotto System buyers get amazing wins using this system... just think how effective the Winner's Circle will be for you with all the added power of thousands of extra tickets. Read carefully in addition to the FAQ for a full understanding of the Winner's Circle Agreement. Membership: Membership is instant as soon as your payment is authorized by your bank and your member's site is updated. You will be advised of your membership details by email. If your payment is received by 6pm Friday (New Zealand time), your Membership will let you be eligible for the Saturday game, even though you may not get your full membership details until the Monday after. Membership is a once-only opportunity. If you decide to leave, you cannot return at any time. Groups: Each Group comprises 50 Members... 49 public members plus one private. While it is advantageous to invest only when the Group has the full membership quota, a Group may be operated with less members to prevent delays for the rest of the members in that Group. This is the arbitrary decision of the Winner's Circle owner. Investment: Read these next sentences carefully. As you know, I'm big on personal financial protection for you, but there are no guarantees of any winnings whatsoever, and no refunds. I've got to sleep easy at night, and I can only do that if I know you acknowledge the risk and the possible loss of your membership money. I also reserve the right to play other lottery games when required--that's in case there's a problem with our national game, or we have a power strike, earthquake etc. Guarantee: I can not guarantee members of the Winner's Circle will receive wins or winnings at any stage. Lotto and the lottery is a game of chance, and all I can do is make reasoned attempts to reduce the losses. This may or may not work for a number of reasons beyond my control. My expertise or inside knowledge is no guarantee that your investment will do any better than normal. Returns: Your membership funds cannot be returned or refunded since they are being used to buy tickets. Please be certain that you can afford your investment and do the sums before you invest with the Winner's Circle. NOTE: All payments are recurring subscriptions that will be automatically renewed and billed to you at the end of each period unless you advise us otherwise.